I think there is no one in the world of the Internet, or even in the world, that does not know about YouTube, so I’ll not talk much about it. We should forward directly to the major subject of this post – read the best YouTube marketing tips from those who are maintaining the most successful channels. You may be a new blogger looking for ways to make a living from your blog, general money tips etc. Because you certainly can make money from a blog, especially if you can create a popular YouTube channel connected to it. The jobs of blogger or “YouTuber” are now actually like running a small business. 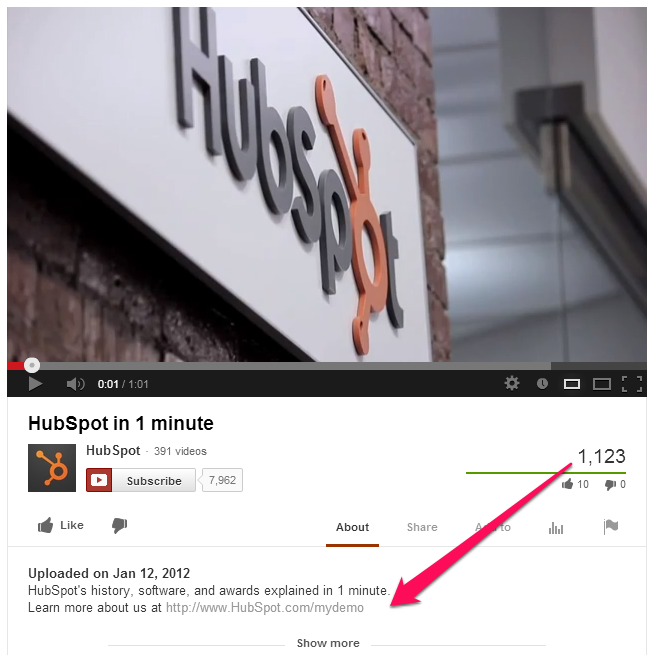 So here are the best YouTube marketing advice channels that 9BlogTips.com summarises for you as a quick review. In your channel page, YouTube gives you a mini gadget add up to 4 social links on top of your channel art. This is great way to lead your fans to site. This gadget supports a range of socials, include Google+, Twitter, Facebook, Myspace, Tumblr, Blogger, etc. Title: make sure the viewers can read your video titles clearly, fluently and no misunderstand. Description: YouTube gives only 2 sentences for the viewers to read the video description quickly. Make sure you provide the right information to help them understand your content in a short time. 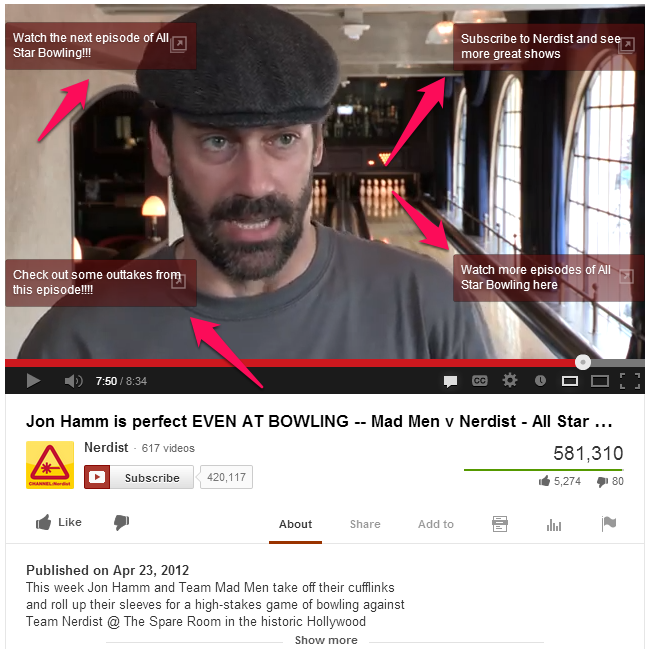 Tags: include all related keywords to give your viewers more videos to see. Do not make your fans have to wait for a few months to view a video. Refresh your YouTube channel regularly make your viewers always return the channel every day. Post your videos to much more socials you can: Twitter, Google+, and Facebook, etc. More people read your titles, more subscribers you may have. Beside the social media, you also have to brand your channel on the blogs, forums and other communities when you have a chance. And these days, we have a faster solution to make your videos promoted effectively, buy real YouTube views review to have more viewers rapidly. 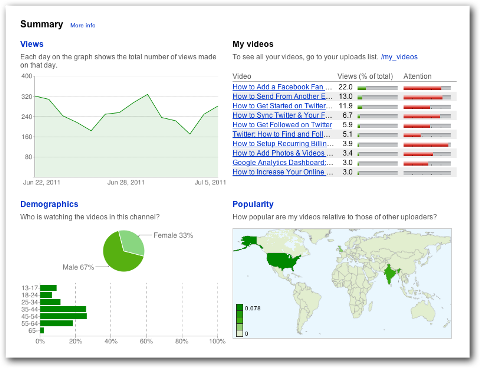 YouTube gives you a valuable tool to review video data and insights about your content and audiences. Reviewing your most-watched videos or favorite videos with the most community feedback (comments, likes, etc.) can point to what type of content your fans love, understand why these videos are successful. Then, you’ll have the right strategy for next content.